PAN India 3G service provider, Bharat Sanchar Nigam Limited (BSNL) launched SMS based number selection process for it's customers and channel partners like - Retailers, DSAs, RDs and Franchisees on PAN India basis. 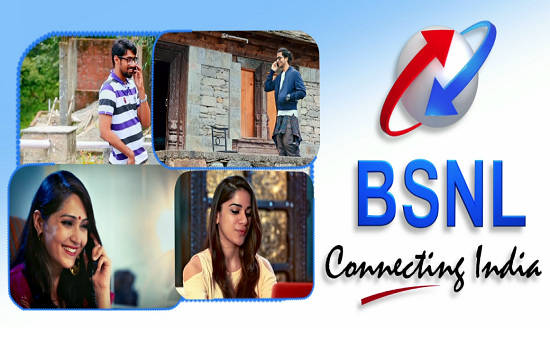 BSNL already offers the facility to book choice mobile numbers online through BSNL CYMN Portal. SMS based number selection is very much helpful for BSNL Retailers and customers since it will help them to save their precious time. Retailers will be able to sell BSNL Mobile numbers having specific number pattern as requested by customers. The SMS based number selection process is very simple and easy. To get the list of spare / Free mobile numbers containing specific number pattern 'XXXXX' (XXXXX can be any 3 to 5 digit), customers may send SMS - NLIST space CIRCLE CODE space XXXXX to 53734 (for BSNL Mobile Customers). Example: To get number containing number pattern 57895 for Kerala Circle, send NLIST KE 57895 to 53734. A list of spare mobile numbers with matching pattern - XXXXX - will be sent to the mobile number from which the request is initiated. For reservation of Choice Mobile number the Customer has to send sms as - CONF space ChoiceNumber to 53734. The numbers will be reserved and allotted on First come First Serve basis only. On receipt of the SMS, the number will be RESERVED and the Customer will be informed accordingly by sending a 7 digit PIN number for the booked GSM number. This process may take about 15 minutes. If the number is already allotted at the time of receipt of SMS, the Customer will be intimated accordingly and can try again. The selected mobile number will be reserved for the subscriber for 72 hours within which the customer has to activate the selected number by approaching the nearest BSNL Customer Service Center or BSNL Retailer otherwise the reserved number will be cancelled and will be taken back to add it in the spare list number. Dear readers, please share your views and opinions about BSNL Choose Your Mobile Number (CYMN) Scheme via comments with us.